This case involves a pit bull named Clifford who lived in East Towson, just two blocks from York Road and the Towson University campus. While a big fellow like Clifford the Big Dog, this Clifford was a bit more viperous. One day, Clifford attacked two boys on the same day in Towson, Maryland. The injuries to the second boy were serious: he needed five hours of surgery at Johns Hopkins Hospital to address his injuries, including surgery to repair his femoral artery. He spent seventeen days in the hospital, had additional surgeries, and spent a year in rehabilitation. I’m not sure how old the boy was but, either way, it’s just an awful thing. The boy and his parents brought suit against the owners of the pit bull that mauled him and the owners’ landlords. The owners of the dog went into bankruptcy and received a discharge of their debt. The only defendant standing was the landlord (Although the Long & Foster lease executed allowed Clifford’s owners to keep an “American Bulldog Terrier” on a property that did not have a fence.). It was not entirely clear from the facts, but it seems that the case was taken from the jury at the close of the evidence (I think the better play in this case would have been to let the jury give its verdict and then rule on the motion so, after all of that work, you would have a verdict if the appellate court’s disagreed, which is what we have now.). The majority opinion, written by “retired” Judge Dale R. Cathell, painstakingly set for the available facts (including a lot of judicial notice type stuff) that pit bulls are dangerous and looked at other jurisdictions who have acknowledged that these dogs are basically inherently dangerous. This is not the usual “this was the law all along – you guys just didn’t know it?” appellate opinion. It is clear that a new law has been made that creates strict liability for pit bulls in dog bite cases. This new law is prospective and applies to this case and causes of action accruing after today. So what does it all mean? 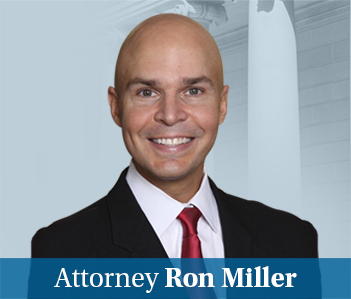 I think this is a win for Maryland lawyers handling pit bull dog bite cases and their clients. It does make bringing pit bull dog bite cases a whole lot easier. Establishing propensity in dog bite cases can be an impossible task – the defendants usually have all of the evidence and are not giving it up so easily. There is a fear that Maryland homeowners’ policies will be changed to exclude pit bulls, but I don’t see that happening for a lot of reasons. Insurance companies loathe to change policy language – P.G. County has essentially had this law for years without any reaction from insurers. Mortgage companies would also balk because it will leave their loans exposed. I think ultimately the law should probably be even more simple. Dog owners should be responsible for injuries caused when their dogs bit someone. Pit bull or Yorkshire Terrier. Someone has to “pay” for the injuries. Wouldn’t it make sense for that someone not to be the innocent victims? My view? I’ve seen estimates that as many as 6 million dogs are put to sleep killed each year. It is just awful. 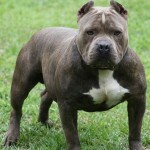 Should we really be breeding more pit bulls just so their owners can feel more like tough guys? Pit bulls should be spayed or neutered and we should move on with the dogs we have too many of already, ones that can live in harmony with other animals and humans. One other point about the question of how this opinion impacts dogs. This case is not a litmus test on who loves dogs the most, or who cares the most for injured children. There was a 4-3 opinion in this case for a reason: people can have different views of what is the best law for people, dogs, and justice. The majority opinion is not anti-dog, and the dissent is not anti-victim. You would never know it in this partisan world we live in now where everyone who does not agree with us is an idiot or worse. But people with equally good intentions can disagree which is the situation I think we have here. There is one other maddening thing about this case that the court did not address. The defendant had two good lawyers. State Farm’s in-house counsel was involved in the case, as was Budow and Noble, who I suspect also represented State Farm (they seem to do a lot of Erie work, too). Anyway, State Farm (I assume) successfully fought to have the defendant basically excused from discovery for health reasons based on a vague “To Whom It May Concern” letter from her doctor. Yet the defendant was perfectly able to go grocery shopping with her daughter, prepare her own meals and take care of her own dogs. Worse still, she coincidentally gained strength before trial, attending trial every day sitting next to her State Farm lawyers. Assuming these were the facts (I got them from plaintiffs’ brief), this is absolutely maddening to me. People dying – literally dying – from cancer or from asbestos exposure, are forced to give 25 hours of deposition testimony, but a defendant can send in an “I’m not feeling so well” note from a doctor and she is excused from discovery? The plaintiffs’ lawyers must have been apoplectic when she sat down at the trial table on the first day of trial. Speaking of plaintiffs’ lawyers, plaintiffs were represented by Ober, Kaler who seems to be handling more plaintiffs’ cases of late. I think Ober, Kaler is doing this work on the DL. I can’t imagine their corporate clients would be excited to hear they are taking on big corporations and insurance companies. But they apparently did a great job in this case. So thanks for making good law. Now please exit the back door and quit crowding my space. You can find the opinion here. My post focused on the majority opinion but the dissent is very well written and includes some very good rhetorical questions that are hard to answer. Will strict liability for pit bulls cost Maryland $174 million a year?